In Minutes, With No Design Experience." You probably know that videos are HUGE right now. All the big "gurus" are using video to market their products. You see people switching to video only sales pages, with just a video and an order button, or an opt-in form. That's because videos WORK, and these simple video pages WORK. 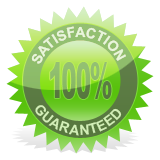 To hire a designer to create a quality video squeeze page for you would cost hundreds of dollars. And trying to create one yourself from scratch could take hours. That's why this "Premium Video Squeeze Pages" package was created. 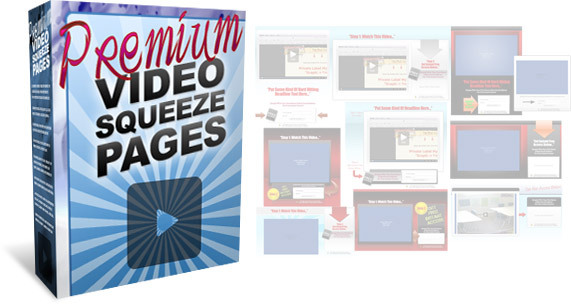 Even though all the big marketers are using these video squeeze pages, there aren't many places to get your own video squeeze page. There are designers that charge several hundred dollars. And I've seen some template based products. I created this product with a design "newbie" in mind. A non-techie person, with little HTML, CSS and design experience. I wanted this to be accessible to anyone. 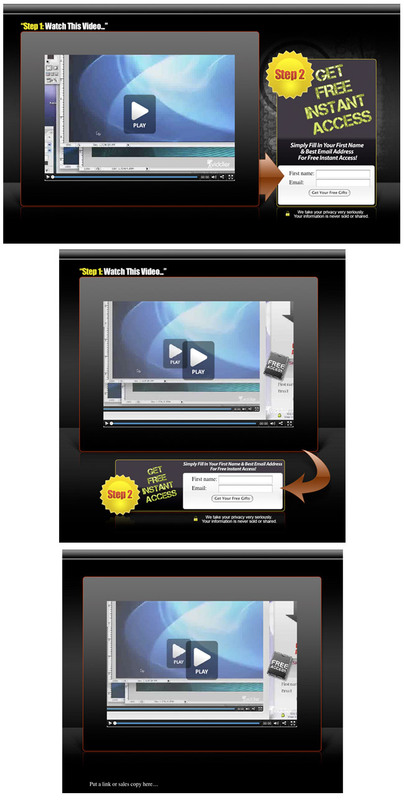 And I wanted anyone to be able to create truly GREAT looking video squeeze pages, in minutes. So, I've created a very unique set of highly customizable templates, and a "system" for you to easily customize them and create your own unique designs in minutes. 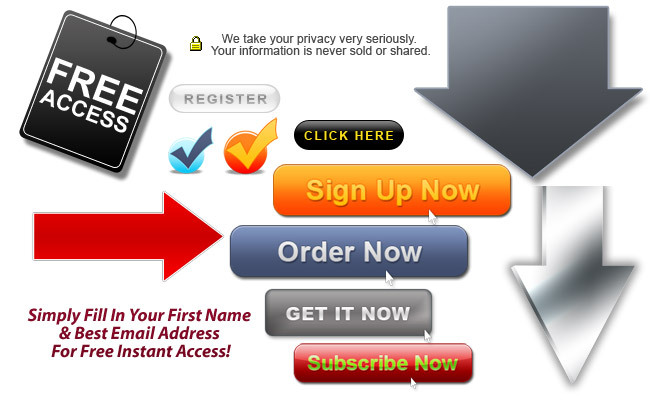 Visual elements around the opt-in form to increase conversions. Instructions for filling in name and email. Privacy text under opt-in form. All of this stuff is already in place, so you just have to insert your codes into the template, and you're done. There are over 100 pre-built HTML templates that you can use right away, in different styles, sizes, and colors. They come in "simple" and "premium" forms, so there is something for everyone. Just choose the template you want, insert your video and autoresponder codes as mentioned above, and you're done. With these pre-built HTML templates you can be up and running right away, and have your own video squeeze page ready to go in minutes. It really is newbie proof "copy and paste" easy. 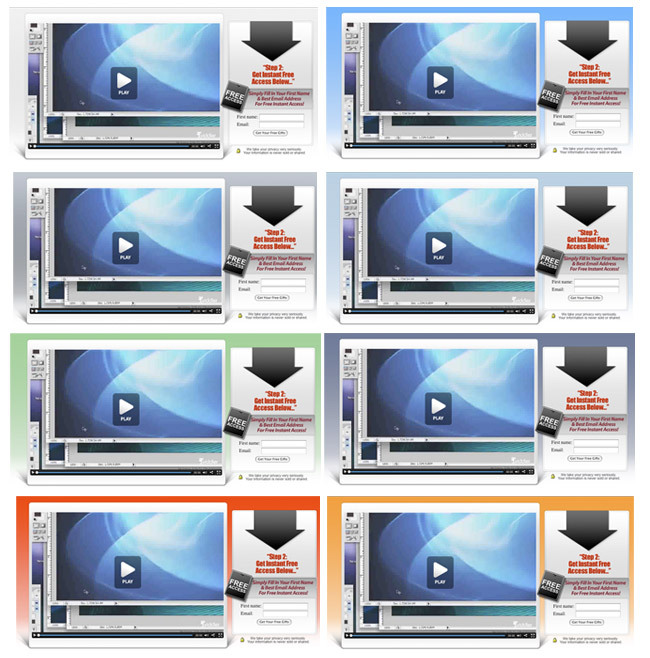 And these templates fit ANY size web videos (YouTube, Viddler, Camtasia, what ever you have). 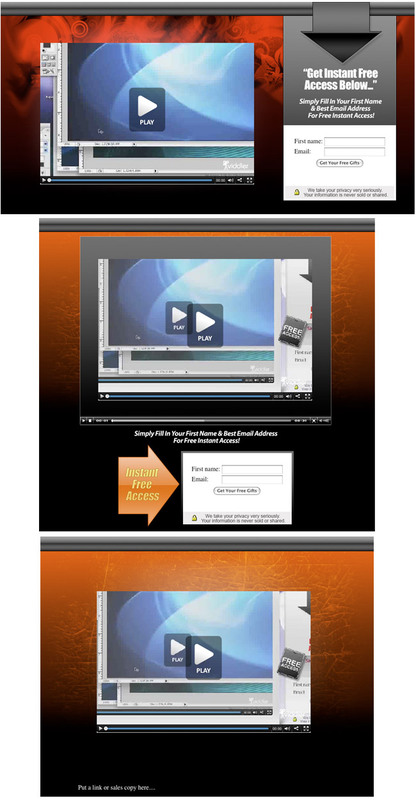 The best part about this package, is the unique "system" I've put together for customizing and then easily creating your own unique templates and video squeeze pages. You see, other packages might give you the source files, but it's then up to you to turn the source files into actual pages. This requires HTML and CSS skills, and also takes time to do. What I did is I created a unique "PSD to HTML export system", with which you can literaly export the updated source document, into a fully working HTML video squeeze page, with just a few clicks. Step 1. You take the source template. Customize it to fit your own style and theme (which is VERY easy to do with all the pre-built elements, graphics, effects, text, etc. already in place). You can customize a source template literally in just a few minutes, with minimal effort and design experience. This should take 5 - 10 minutes, depending how much you want to put into it. Step 3. 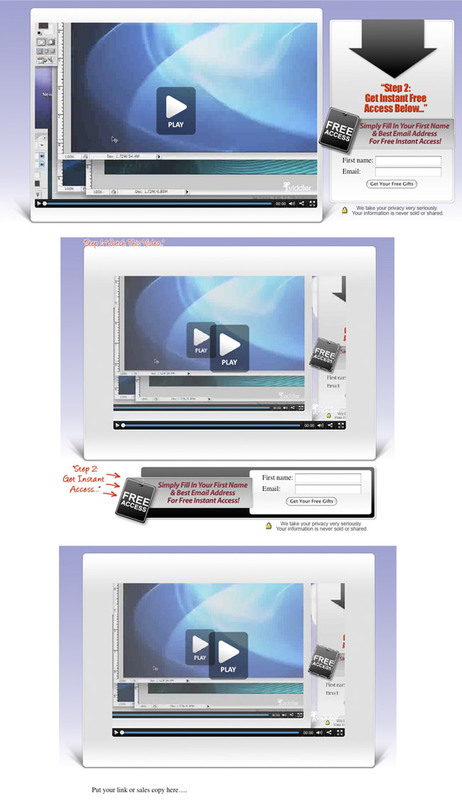 You insert your video and autoreponder codes into the new template (into clearly marked spots). No need to fuss around with HTML and CSS code. No tech skills needed at all. Step 4 (optional). 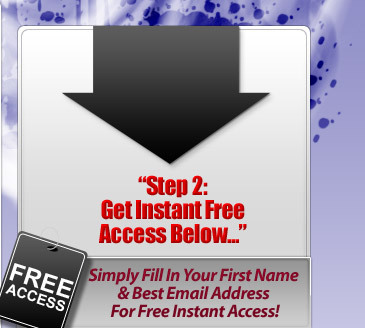 You add some extra sales copy or links to the templates. And that's it, you're done. Once you play around with it a little, and get the hang of it, it should take you just a few minutes to do all of the above. It's very easy. Here is a short video of this "system" in action. In the video below, I take one of the source templates, customize it, and export it into a fully functional video squeeze page. I create 3 different video squeeze pages in under 5 minutes. (There is no narration in this video, just background music. The product itself will come with step-by-step videos with narration. So you'll know exactly what to do). These are the templates I showed you in the video above. There are 5 different syles, and 3 template types for each style. And you can do what I did in the video to each one of them. 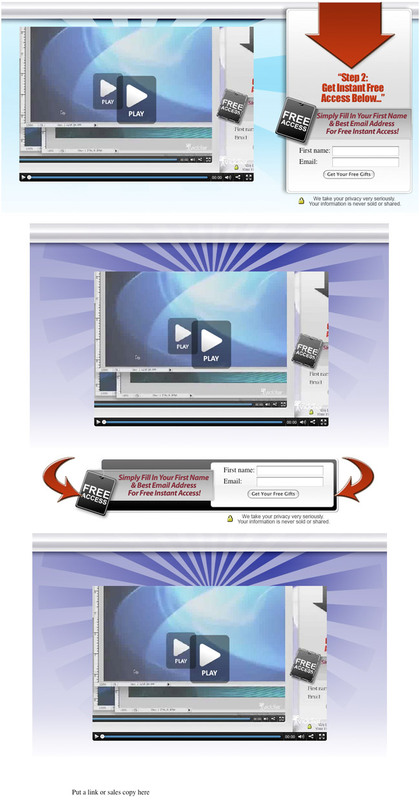 "T1 - Video with opt-in on side" - Most popular video squeeze page with an opt-in form on the right side. 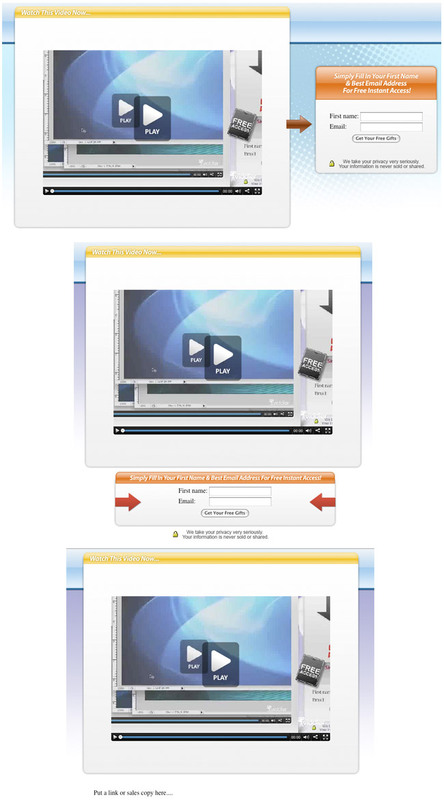 "T2 - Video with opt-in on bottom" - This one has a video and an opt-in form below it. "T3 - Video and sales page" - This one has just the video, with empty space for an affiliate link, sales copy, order button, or what ever else you want. So with these different template types, you can create all kinds of video pages, not just squeeze pages, but also: video order pages, video pages with sales copy at the bottom, video affiliate pages, etc.. In total there are 15 different Premium Templates. Each one fully customizable with 1,000's of different design possibilities (just like shown in the video above). A) Full PSD source files to all 15 Premium Templates, and the whole "PSD to HTML export system" I mentioned before, with which you can easily create your own unique templates in minutes. Change the colors and fully customize all the text, the background, the video skin, the opt-in box, the effects, and all other elements in the template. Get rid of any "element" in the template that you don't need. Add new graphics into the template. B) Already put together HTML templates. So in case you don't want to create your own design from the source files, you can simply use these already made templates right away. 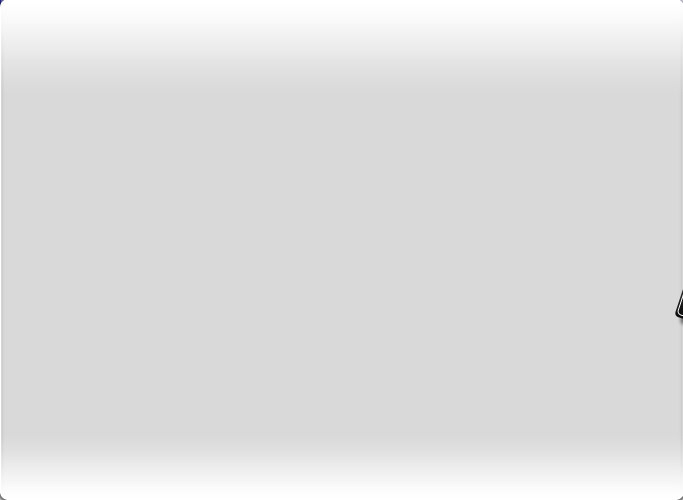 You just stick your video and autoresponder codes in there, and you're done. These "already made" templates come with simple background gradients, and no special effects. There's 8 different colors for each of the 15 templates. If you do the math, that's 15 templates x 8 colors each = 120 "already made" templates. Again, these are already pre-made. You can open them up in any HTML editor or even Nopepad, insert your video and autoresponder codes, and you have a video squeeze page ready to go. These are simpler templates than the premium ones. They're basically just a top header image with a simple gradient background, an arrow, and areas for the video and opt-in form. Very clean, simple and professional design. The simple templates come in 2 variations: "light" and "dark". And they're basically for light color backgrounds with dark text, and for dark backgrounds with light text. Just like the "already made" templates in Module 1, these simple templates are also already pre-made, and ready to use right away. No need to customize them (but you also get full source to these, so you CAN customize them and create tons of variations). 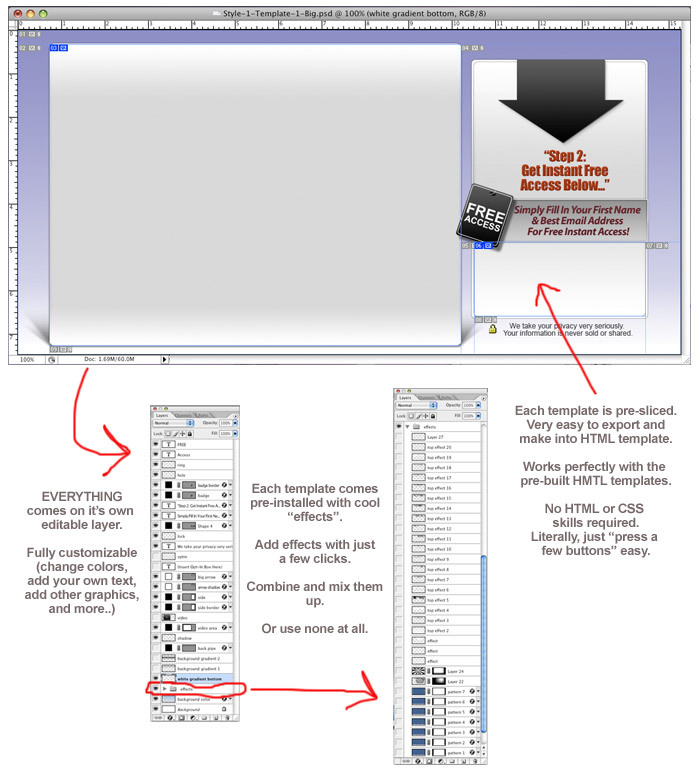 The above 2 simple templates come with 20 different background colors, and 20 different arrow colors. You can mix and match all of this in different combinations. 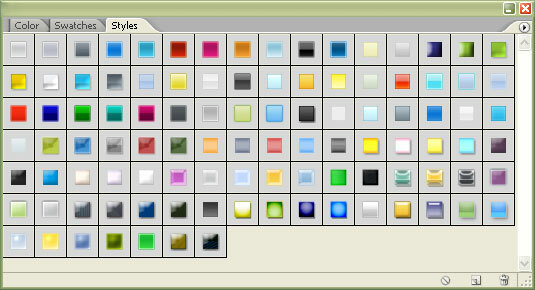 You also get full source files so you can easily create your own color variations. Plus these source files also work perfectly with the HTML templates (with the easy "PSD to HTML export system"). So modifying them, exporting the images, and customizing the HTML template is very easy, and takes just a few minutes. With this module you get hundreds of different "graphics elements" that you can stick in you squeeze pages (or any other pages you might have). You'll get things like "call to action" buttons, arrows, checkmarks, opt-in text elements, etc..
All of these things come in a variety of different colors, styles and sizes. 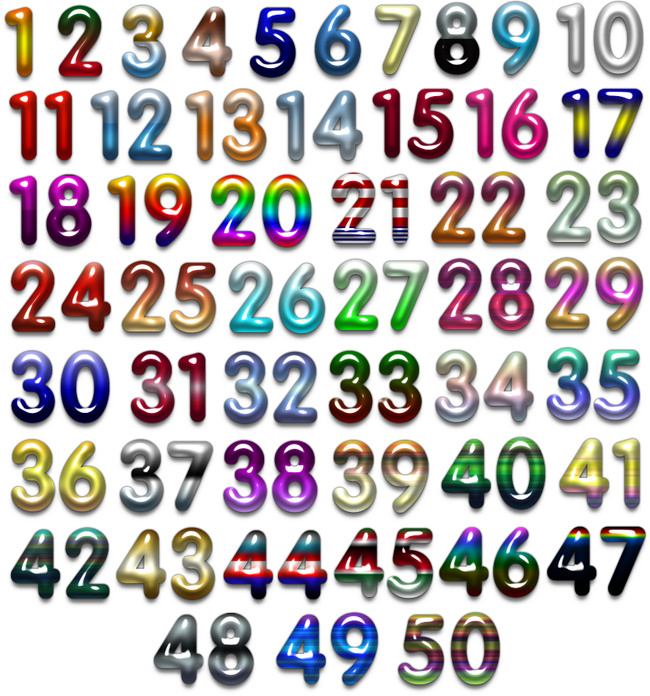 And they're all in transparent PNG format, which means you can use them on any color background. Most also come with PSD source files, so you can modify them and create your own variations. With this module you'll be getting 2 sets of Photoshop Layer Styles (over 100 layer styles). What these layer styles do is they basically add a special effect "style" to any object with just a click of a mouse. All you do is you select the object (shape, text, what ever) and you click on the layer style. And that object transforms before your eyes. Using these layer styles is the easiest way to spice up your graphics. So you'll be able to customize all the elements in each template with just a few clicks, just like I do in the videos on this page. Even though all of this stuff in this package is very easy to use, you will still be getting video instructions on how to use everything. Each of the videos is just a few minutes long, so you will be up and running right away. So how much is this awesome package? 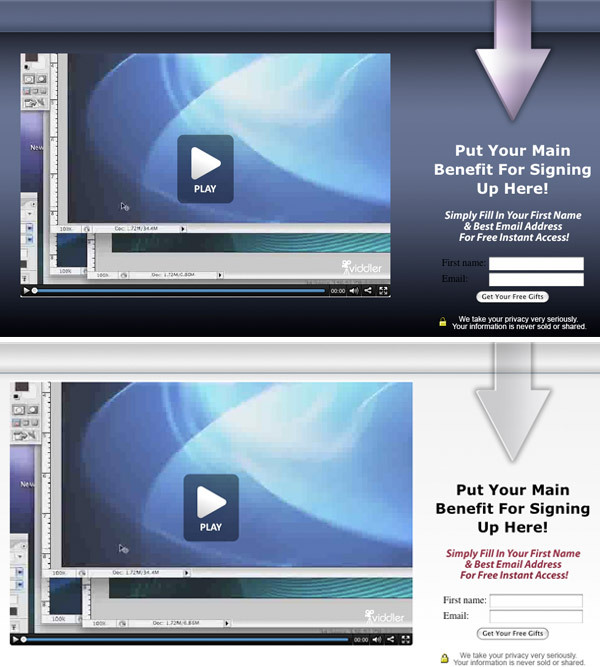 A quality custom video squeeze page template would cost several hunderd dollars to create. And with this package you can create as many as you want yourself. This package will save you hundreds of dollars in design fees. This is a limited time discount price only, and I might raise it at any time. So get this package while it's still this cheap. Try the product for 30 days, and if you're not satisfied just send me an email and I'll send you a refund. So there's absolutely no risk on your part. All the risk is on me. Hope you see the value in this offer and will give this product a try. To place your order click on the link below. Take Advantage Of The Limited Time Low Discount Price Today! P.S. The HTML templates in this package will work with any HTM editor or even Notepad. No special software required. P.P.S. The PSD source files require Adobe Photoshop or Photoshop Elements. For best results use Photoshop. These source files are a big part of the package, but even if you don't use them, this package is still worth the price for the pre-made HTML templates by themselves. You'll be able to do a lot with this product, even if you don't have Photoshop.